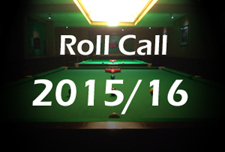 On 21st September 2015 following the Shanghai Masters, the current seedings list will be revised for the second time this season and will be used to determine the seedings for the 2015 International Championship. By the time of the revision, prize money earned from the 2013 AT1, 2013 Wuxi Classic, 2013 Australian Goldfields Open, 2013 ET1, ET2, ET3 and the 2013 Shanghai Masters will have been deducted and replaced by that from this season’s events up to that date. 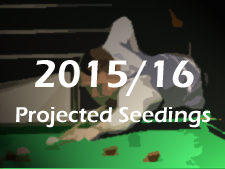 Also note that all seeding implications are on the basis that all eligible players enter the relevant events. 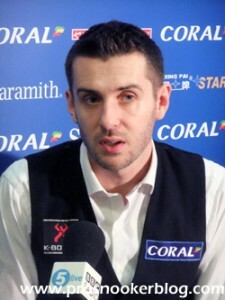 As has been the case throughout the early stages of the 2015/16 season, Mark Selby remains at the head of the world rankings and is assured of staying there after the Shanghai Masters. 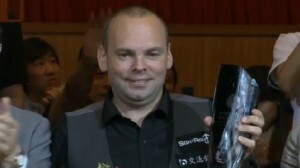 This is because although Stuart Bingham would add £85,000 to his tally if he were to become the first player to successfully defend the title in Shanghai, it would not be enough to see him bridge the gap of some £140,000 to Mark on the latest projected seedings list at this time. The same can be said for both Ding Junhui and Neil Robertson who are close to £100,000 further back than Bingham, while fifth placed Ronnie O’Sullivan declined to enter this year’s tournament in Shanghai. There could however be some movement in respect of the top eight, with Joe Perry, Mark Allen and Ricky Walden all mathematically capable of moving ahead of Riga Open winner Barry Hawkins. In all likelihood, each of them would have to win the title (the final would be enough for Perry if Hawkins were to lose his opening match), while a semi-final run from Hawkins would be enough to keep him ahead of Walden. With the International Championship not being one of the ‘tiered’ events on the calendar, it is not as important to be inside the top 16 at this cut-off as it perhaps is at other times of the year. That said, the players will still want to be in that elite bracket and a look at the projected seedings list tells us that everyone as far down as and including Mark Williams is guaranteed to remain there after Shanghai. That means that there are two places up for grabs, with 15th placed Stephen Maguire the first player who could mathematically be overtaken after the event. Able to catch him with a run to the final are both Michael White and Graeme Dott, while there are a further eight players who could edge ahead of him by winning the title. While there are then possibilities, Maguire is able to make certain of a top 16 spot with a run to the quarter-finals, which would leave all of the players behind him needing to win the title to overtake him, something that only one of course can do. 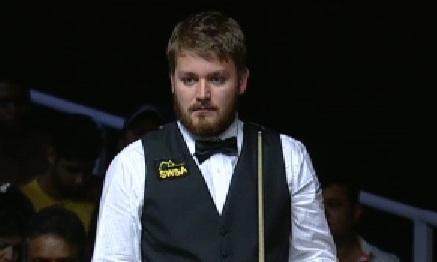 The other player vulnerable then is current 16th placed man Michael White, who holds a narrow advantage of £4,633 to 17th placed Graeme Dott, the Scot also seeded for the tournament as a result of Ronnie O’Sullivan’s absence. 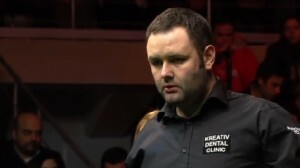 Victory for Graeme against Ryan Day would be enough to see the pair switch places if Michael were to lose a difficult opening match against Mark Davis, but if White were to win that match then Dott would need to reach at least the semi-finals to overhaul him. Both are in the bottom half of the draw so that could be something to follow as the tournament progresses. 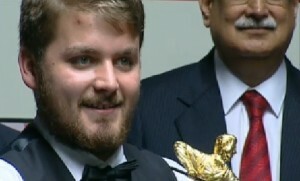 Aside from Dott, the next players who could catch White are Robert Milkins, Mark Davis and Ryan Day, all of whom would need to reach at least the final, while there are a further seven who could yet catch him by taking home the title. Turning to the top 32 mark and this is relatively set as surprisingly, all of the players between 31st and 40th places on the latest projected seedings list have failed to qualify for the venue stages in Shanghai. 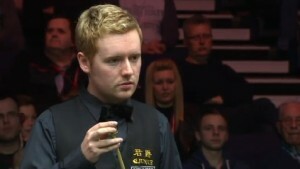 This means that Leicester’s Ben Woollaston is set to end the cut-off in 32nd place, unless either Luca Brecel or Mike Dunn are able to reach the final, or Tom Ford or Kyren Wilson are able to claim the title. Last but certainly not least comes the cut-off for the top 64, as players look to earn themselves an opening round match at the International Championship against one of the players ranked outside of that bracket, rather than inside of it. Currently holding onto 64th spot is China’s Cao Yupeng and he will remain there unless either David Grace or Jamie Cope (the latter a former semi-finalist at this event), are able to win the title.